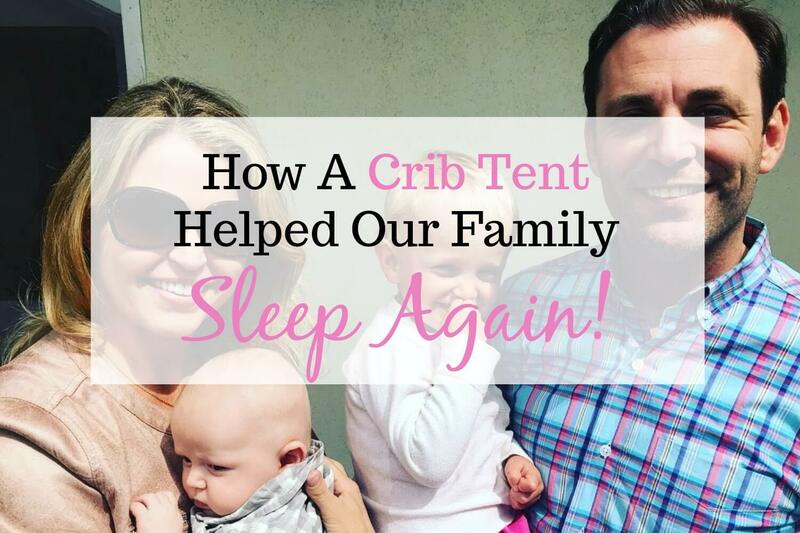 Who knew that a crib tent would give our family the gift of sleep (and sanity)? I purchased our crib tent 16 months ago, it has since become my #1 most helpful toddler purchase, ever. Just to give a little background: our daughter was never a good sleeper (sweet as pie, but hated going to sleep). As a result, delirium due to a lack of sleep became a “normal” part of our family’s daily routine. So, when our daughter was 10 months old, I hired a sleep trainer. Her methods were a success and we all finally started sleeping again! But then, after nearly 6 consecutive months of nearly solid slumber, the unimaginable happened. Our toddler, Zoe, learned how to climb out of her crib! Our toddler’s “crib jumping” was a problem. It was unsafe. Our tiny toddler could seriously injure herself by falling several feet or getting stuck between the slats. I did not want her wandering alone through the house at night. Again, a big safety issue. My husband and I were not going get a good night sleep until we found a solution we were comfortable with. We were all sleep deprived, but also experiencing daily stress from this new problem. Sleep is so crucial for both physical and mental health. According to The National Sleep Foundation lack of sleep is linked to hypertension, heart disease, depression, diabetes and several other chronic diseases. 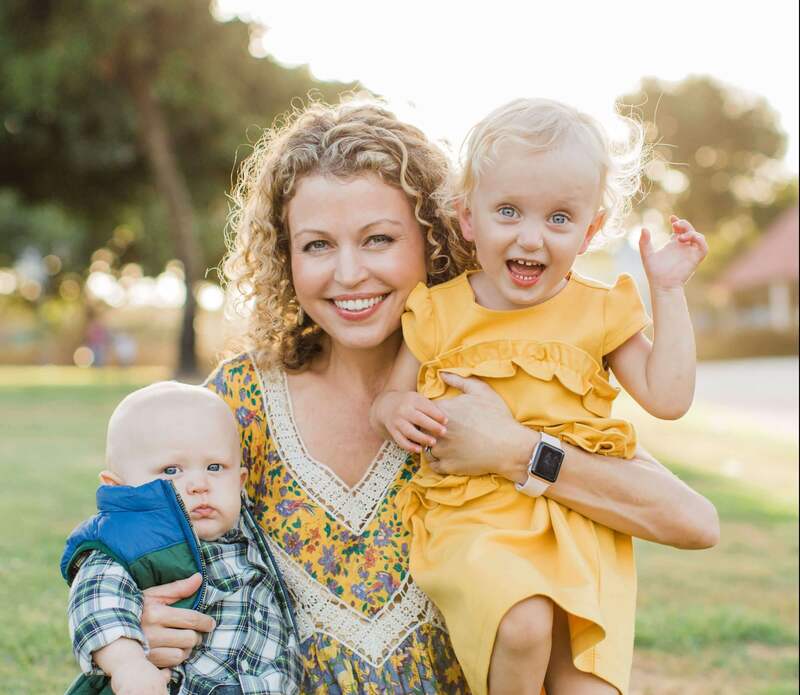 The National Sleep Foundation also states that sleep is especially important for children because it is when blood supply to the muscles is increased, energy is restored, tissue growth and repair occur, and important hormones are released for growth and development. We looked at several alternatives. After getting over the shock of my daughter’s uncanny ability to actually scale the crib we tried several things to deter her. We took out the bottom of the crib so the mattress was all the way on the floor to make her escape more difficult. That stopped her from climbing out for exactly one night, then she was back at it again. We took everything out of her crib so she couldn’t use it as a prop to climb out. This method didn’t stop her either. We watched our toddler climb out of her crib on a monitor so we could see exactly how she was doing it. She made it look so easy! She held on to the top bar and put her feet in between the crib slates, hoisting herself to the top, then she teetered on the top bar and balanced until she could get both feet over the sides and jump to the floor. Usually, with a big SPLAT. A toddler bed was not yet an option. I scored the internet for more suggestions and solutions. A toddler bed was out of the question because our toddler would not stay in her bed (or room for that matter) for more then 1 minute. Inevitably, we would end up having a little visitor in bed with us every night for the foreseeable future (or worse, roaming the house!). A crib tent was our last resort. My first priority for our daughter was safety. I didn’t want her getting hurt while climbing out of her crib, but I also didn’t want her wandering around the house in the middle of the night either. And frankly, we ALL needed to get some sleep! Safety was (is) my #1 concern. I read a ton of reviews on this crib tent and I it sounded like people were having a lot of success without having any safety issues. From my own personal experience, these are the reasons this crib tent has been a gift from the sleep Gods. Our toddler could no longer get stuck between the rails (which previously happened several times!). Our toddler was unable to grip the sides of the railing which prevented her from scaling the crib walls. The material is made from BPA-free mesh netting and is hypoallergenic. The crib tent fit snugly over the crib and it was impossible for our toddler to get stuck in the crib netting. The bottom of the crib tent sits under the mattress. It was super easy and fast to set up. No extra tools were required. We ALL finally got the sleep we needed and finally felt refreshed again during the day. Our toddler likes her crib tent. I think it makes her feel safer. We have a bedtime routine and our toddler wont even let us leave her room without zipping up her crib tent canopy. It has been 1 year since we started using the crib tent and it still works like a charm. Soon we will be transitioning our daughter to a toddler bed, but until then we are leaving it up. And I’m saving the crib tent for Zoe’s younger sibling, just in case we have another “crib jumper” on our hands. Is your child able to climb out of their crib? How did you deal with it? Please leave any questions or comments below!